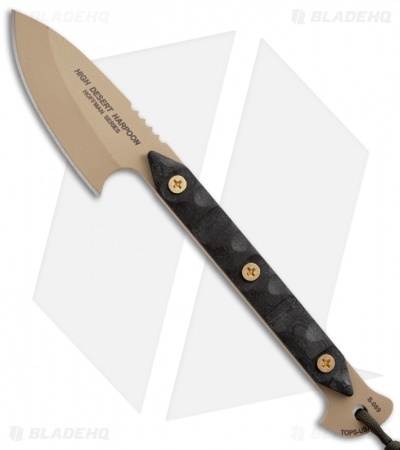 The High Desert Harpoon XL is an adventure-bound knife that's been designed to be an outdoor companion for any activity. It is tan coated 1095 high carbon steel with a 3.5" blade and textured black linen Micarta scales. 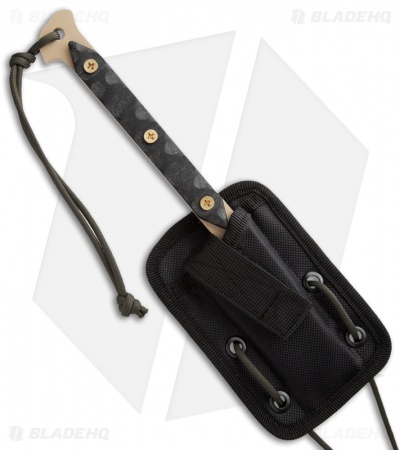 The High Desert Harpoon XL includes a secure nylon sheath with neck cord for carry.